Home / Flooring / What Are The Benefits Of Choosing Laminate Flooring In Croydon? So, you have finally decided to give your home a face-lift by installing new floors. But, are you confused about how to choose floors which will enhance the appeal and yet offer the right functionality? Getting beautiful laminate floors installed in your home can be the ideal solution for both function and style. Wondering what makes laminate flooring the perfect solution for you and your home? Read on. Over time, the popularity of laminate has increased consistently. Whether upgrading from carpets or replacing a worn out hardwood floor, more and more homeowners are now installing laminate floors. What make laminate flooring in Croydon the popular choice for most homeowners are the numerous benefits which it offers! Below are the benefits you can enjoy by choosing laminate floors. This is perhaps the biggest benefit of choosing laminated floors. The ease of installation of these floors minimizes the disruption caused to everyday living. Laminated floors are very easy to install since the boards are designed to interlock. Depending on the state of your existing floor, you can even install laminate over tile, vinyl or hardwood floors. When it comes to the aesthetics, laminated floors are just as good as the hardwood floors. These floors come in a wide selection of colours, styles and finishes. 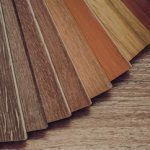 Regardless of the type of hardwood appearance you want, there is a laminated flooring variety available for every different kind. Being protected by a tough external layer along with resin coating, laminate is a scratch-resistant and strong flooring surface which offers great durability. Unlike some of the other flooring options, laminated floors are perfect for high-traffic areas. Whether for residential purposes or for commercial purposes, this material can stand the test of time. The moisture and stain resistant surface of laminated floors makes cleaning spills very easy. These floors are very easy to clean and never show dirt like the vinyl ones. No special cleaners are needed for keeping a laminate floor in top shape. All you need to do is just sweep the floors on a daily basis. It goes without saying that kids and pets are very rough on floors. While it’s true that no floor is entirely safe from scratches, laminate floors have a wear layer or topical finish which makes it very resistant to scratching. These floors are even popular among homeowners who often suffer from allergies. This is because dust and other indoor allergens cannot penetrate the hard surface of the laminate floors. 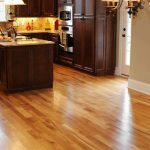 Another key benefit of choosing laminate floors is that they are less expensive than hardwood and they do not fall short on the quality and look. No matter whether you have a limited budget or a flexible one, there are laminate floors for every customer. Also, the lower labour cost because of to easier installation makes laminate floors more affordable than the other hard flooring options. Now you know all the great benefits of laminate flooring, it’s time to get beautiful laminate floors installed in your home.